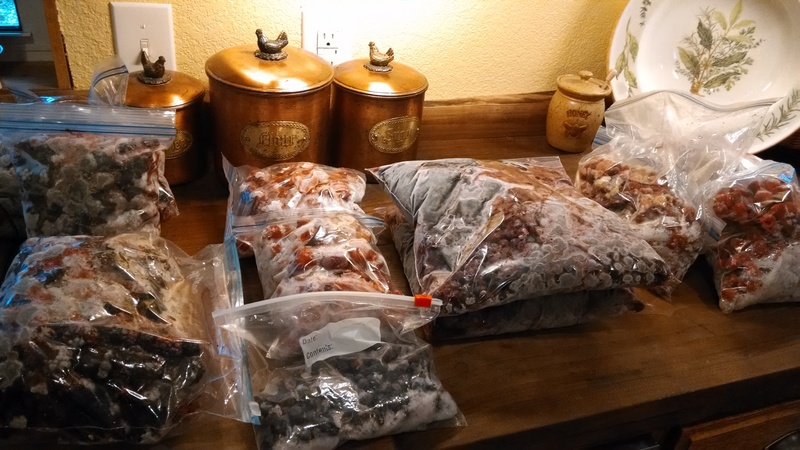 I didn’t even get through this mess, and there is still a PILE of grapes in the freezer. Not the mention the tomatoes, for tomato jam. I guess my weekend of jam making is going to be more like a month of jam making. 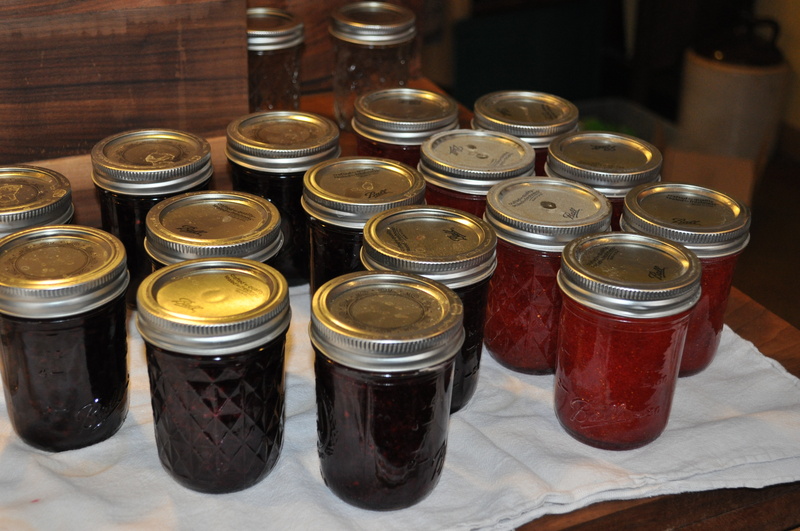 This time around, I made the traditional strawberry jam (which turned out a little gummy, to be perfectly honest … too much pectin, I guess), but I also tried blackberry jam and raspberry jam for the first time. The raspberry jam is good, but the blackberry jam is AWESOME. Definitely making more of that yummy goodness! Raspberry Jam. You can find these recipes in my post here. 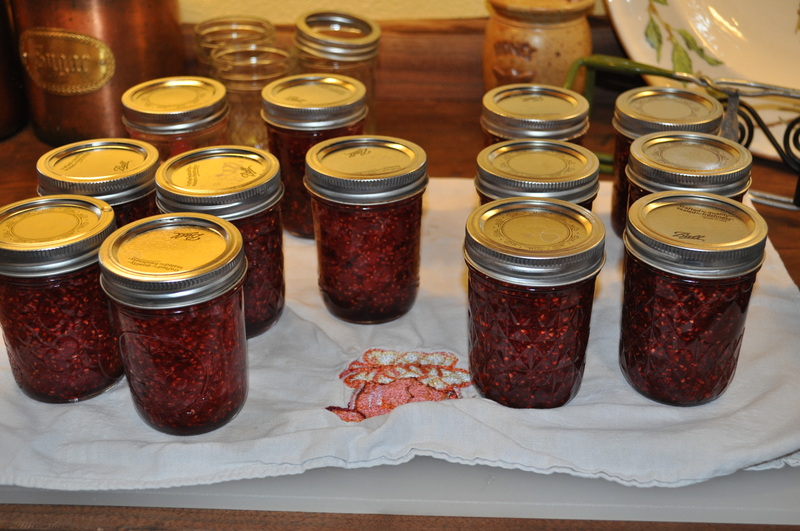 I used the mixed berry jam recipe for the blackberry and raspberry jams, and it worked great. Still can’t wait to see how the frozen tomatoes do as tomato jam. Yum!